I am thinking of the Paperwhite Narcissus that I set into pebbles and water every year the week after Thanksgiving which thrust thick white roots down and produce green stalks shooting with nodding clusters of fragrant white blooms. These bulbs are forced, and most of the time will not grow and bloom again even if buried in the soil to grow naturally. I am wondering if sometimes our own efforts are forced in this way, rushing to provide results, never acquiring the patience for God’s timing. 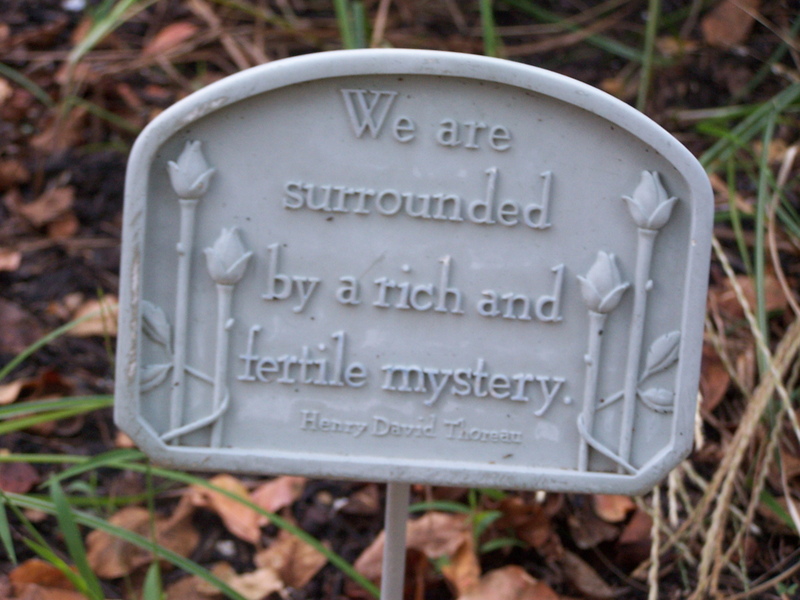 Walking in my winter garden, I see some things I might not notice when the drab palette comes back to green and growth. 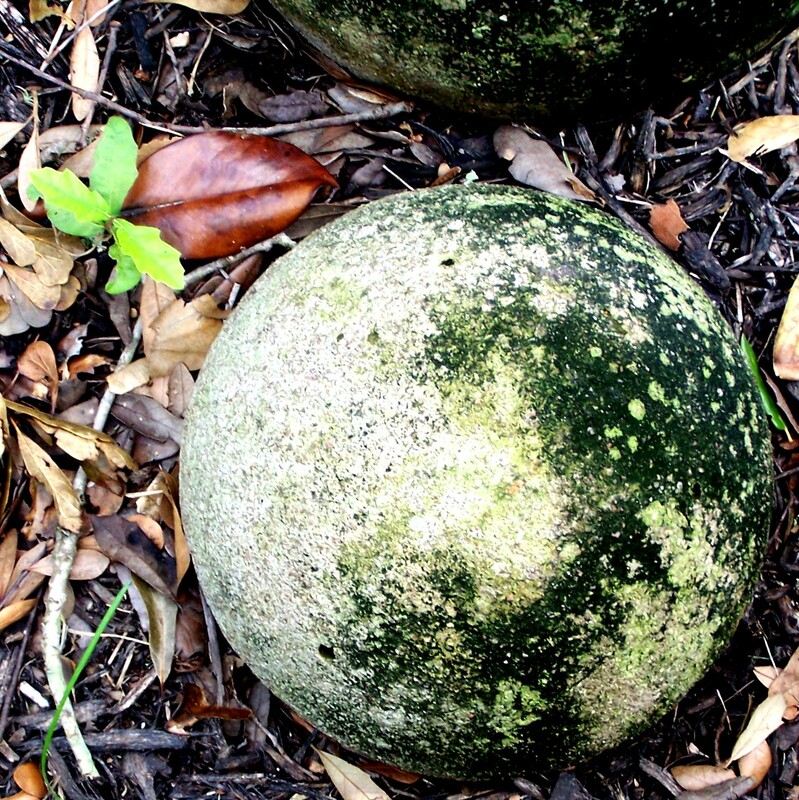 This mossy stone ball reminds me of an organic global map and prompts me on this Valentine’s morning to love all my neighbors, including those beyond my daily shores. I am called to widen my view, open my mind. I pray to know more, in order to better love. Sabbath is not just important to me. It is essential. I participate in Sabbath/Sundays, gathering with others to worship, being with family around the table, and setting times to rest at the beginning of the week. I have learned that I also need what I call Sabbath moments every day, part of my morning and evening rituals, but also those unexpected gifts of quiet awareness that come upon me and gift me me with deep peace. 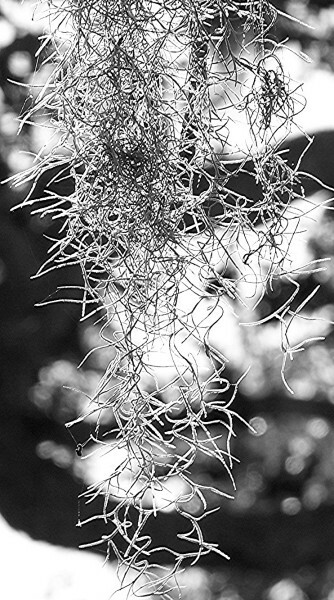 During my morning walks, I see long veils of Spanish Moss draped on the branches of live oaks and bald cypress, but it is not a moss at all. It does not actively harm the trees, but its webs block out light which the trees need, and trees that are heavily adorned with it topple more easily in hurricane force winds. I think of what I allow to occupy my life that “really doesn’t hurt anything” but which causes me loss of growth and makes me more vulnerable to toppling.